As someone who lives in Chester and regularly has to deal with the masses attending Chester Races, what could possibly be the worst imaginable day to join the crowds on the train and pay a visit to one of your favourite UK cities, York? A York Races day of course! Thankfully for Caroline and I, there was light at the end of the suits-and-dresses-filled tunnel, and that was cake at The Principal York, Hotel. 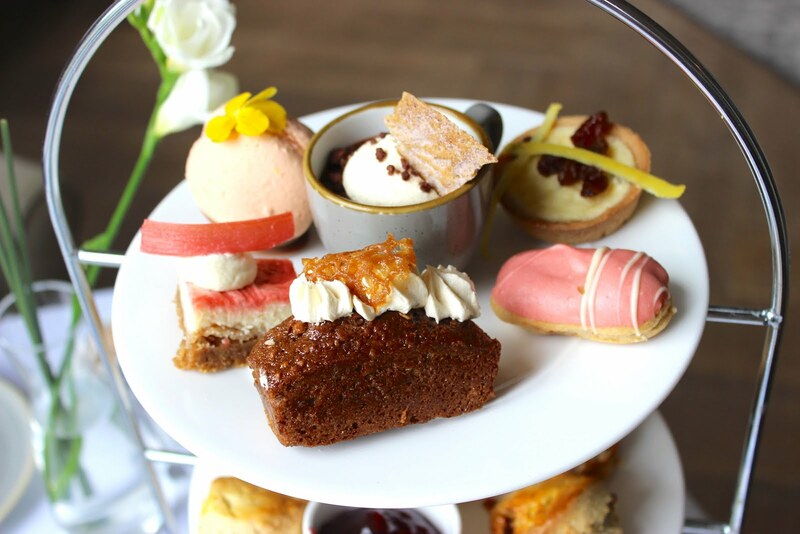 Ideally located right next to York Station, you can literally hop off the train and into the Garden Room where an elegant tea oasis awaits adorned with neutral tones, highlighted by huge windows with views across the lawn - all the more spectacular on a summers day. 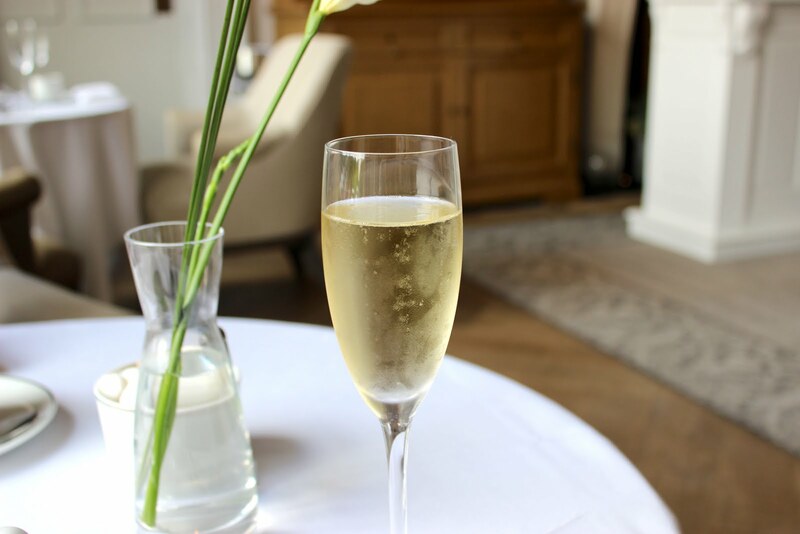 We started with a glass of champagne each before digging into the first course. The tea is served in two parts, first a small plate filled with three savoury miniatures followed by the main event. 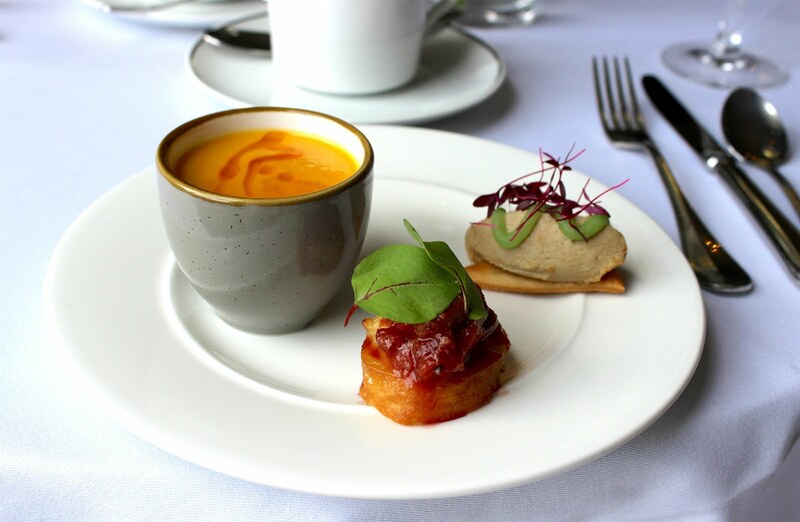 Bites included; Sweet potato, chorizo and sherry vinegar velouté, smoked mackerel mousse, and Yorkshire rarebit, fruit chutney. It’s very unusual to find anything soupy on an afternoon tea menu but the sweet potato velouté worked really well and was definitely a favourite. A strong start! Moving to the first tier of the main stand, there aren’t as many sandwiches as you would normally expect but you won’t need them after the first trio. 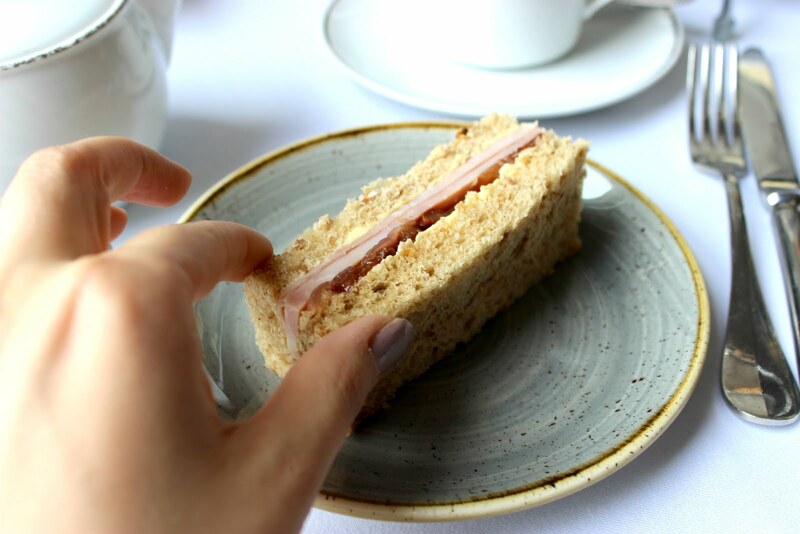 Here you will find an egg mayonnaise and watercress sandwich alongside a Yorkshire ham and pickle sandwich. Both really tasty, generous fillings and served on two types of bread, always a plus. 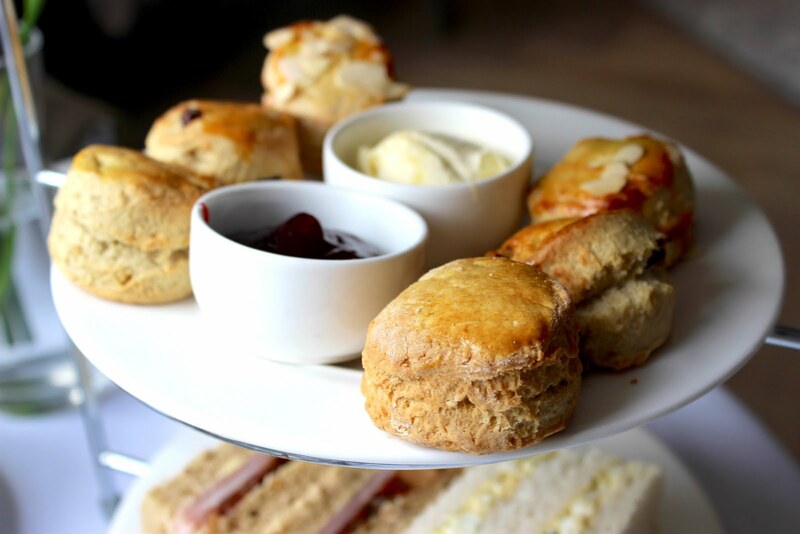 Moving on to the scones, which also come as a trio and offered up something a little different to your usual afternoon tea fare. You have your plain and fruit scones and then an additional cherry and almond served with raspberry jam and clotted cream. Cherry scones have always been a favourite of mine so I was excited to see these on the menu and they tasted delicious with lashings of cream. And just in case you’re wondering how you’ll manage three scones AND a plate of pastries, the scones are only small so you shouldn’t have to worry about saving room! On to the last tier which features a pretty mix of colours and flavours - but there is only one of each kind so be sure to share/pick your favourites quickly! 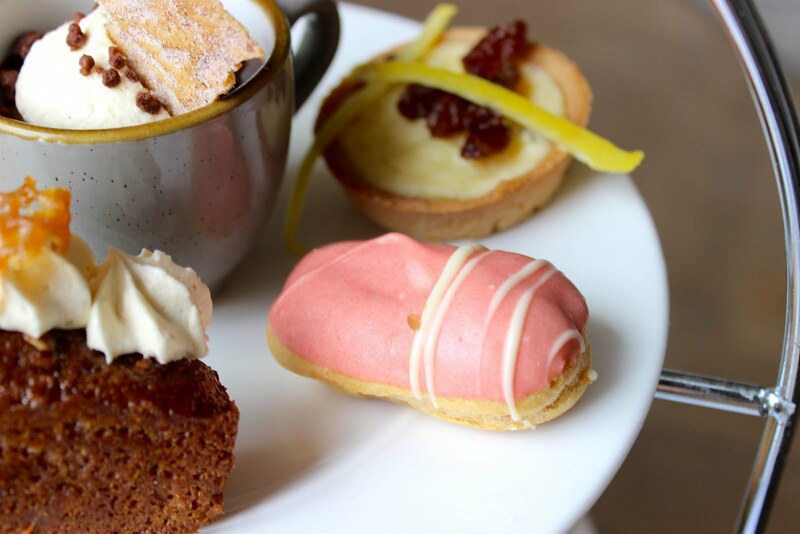 Sweets include a Yorkshire curd tart, salted caramel chocolate pot, passion fruit macaron, rhubarb gin cheesecake, Parkin loaf, and raspberry and white chocolate éclair. 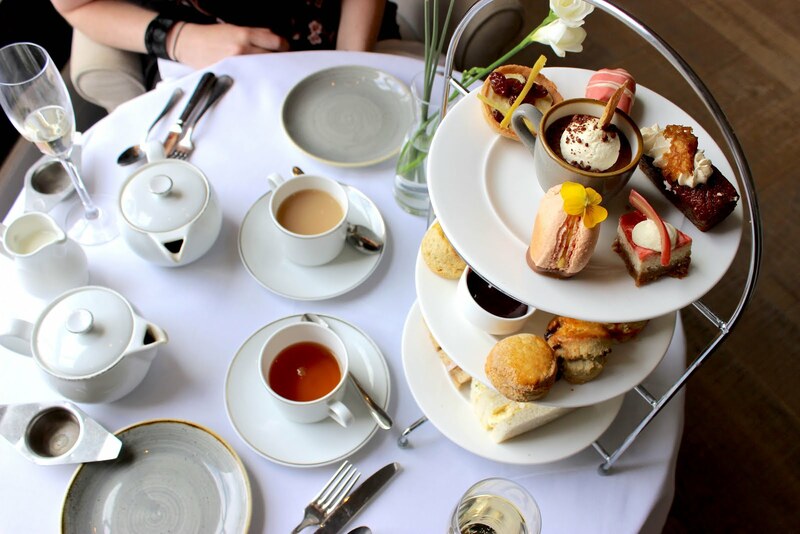 This was one of the best dessert selections we’ve come across thanks to its imaginative choice of flavours used in popular afternoon tea sweets - the rhubarb gin cheesecake and macaroon were our top picks both for their pastel palettes and great taste. 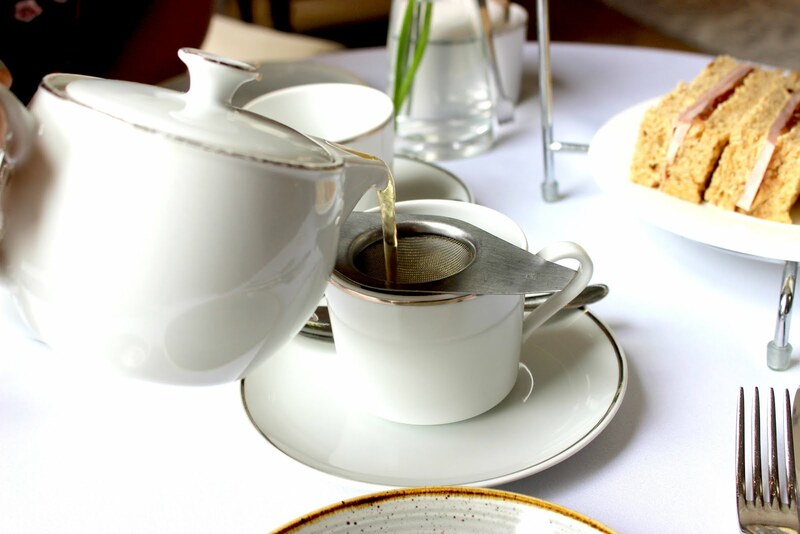 To accompany the food, The Principal serves Rare Tea Company loose-leaf tea, hand picked by ‘Tea-Lady’ consultant Henrietta Lovell. We opted for the Single Estate English Breakfast and Earl Grey, both sourced from the Satemwa Estate, Malawi. 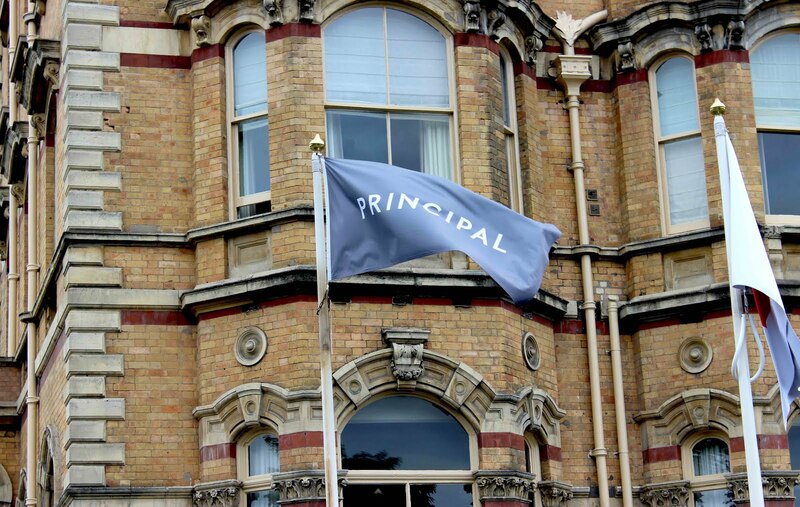 We really enjoyed our afternoon at The Principal, York. It’s a beautiful hotel and in a prime location for anyone travelling from out of town. The tea menu is great, fusing the old with the new and features plenty of unique touches to make it stand out. If you’re planning a trip to York this Summer and looking for a quiet hideout from the crowds, be sure to put The Principal York on your list. Wow, it looks great. The price is good for all that too. It was a really lovely tea, and the lounge is an absolute dream - you totally won't want to leave once you've sunken into one of their armchairs!